Strong Woman Do Bong Soon reminds me a lot of Shopping King Louie. Maybe because both dramas are cute. The powerhouse of cuteness in Shopping King is definitely Seo In Guk meanwhile in Strong Woman it’s Park Bo Young. It’s kinda reaching, but I do hope they can star in one project together so I can decide who’s cuter between them two. Ugh it’ll be too cute too handle. Strong Woman Do Bong Soon is thriller-romance drama about a strong, what I mean here is really strong, 27-year old woman named Do Bong Soon (played by Park Bo Young). 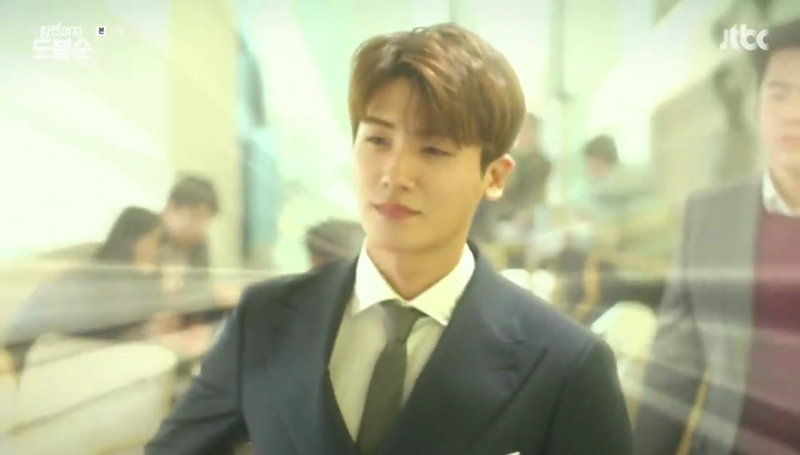 She lands a job as a bodyguard of a gaming company CEO, Ahn Min Hyuk (played by Park Hyung Sik). 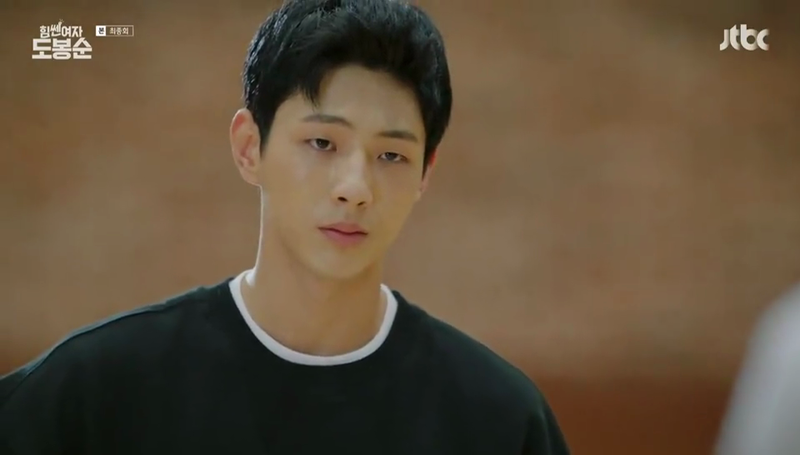 Do Bong Soon is madly in love with his high school friend In Gook Do (played by Ji Soo) but unfortunately it’s one-sided love. The rest? You can figure it out. It’s your typical love triangle story. Basically, if you strip-off the thriller element of Strong Woman, the story is really basic and predictable. And may fall into the boring category. No acting hole here! I am extremely impressed. Park Bo Young, one of the very few actresses in her age group that I can truly trust in her acting. Every time she picks up a project I know it won’t disappoint. I know I can feel assured that the acting will be great no matter how confusing the story may be. As always, she was stellar even in Strong Woman. Park Hyung Sik. He was ok in The Heir, literally the only drama of his that I watched. I didn’t know he was this good. Firstly, the role fitted him well and he owned it. I lost count on how many times my heart fluttered because of him. Secondly, ugh he just fitted the role so well. 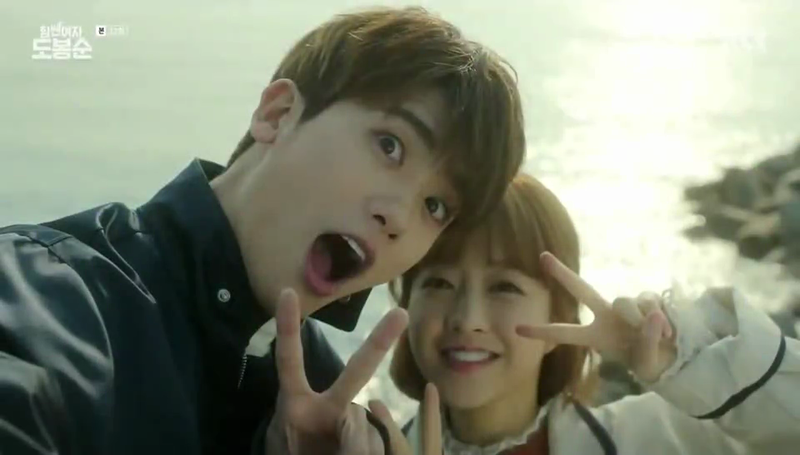 Park Bo Young and Park Hyung Sik created such a great synergy that made me head over heels for them. Their cheerfulness and loveliness resonated through the screen. I was so much in love with them. I was over overwhelmed by the first 20 minutes of episode 1. I was trying to figure out what was going on. I jumped into Strong Woman without knowing anything about its synopsis and all so I was kind of shock that the story was literally about a strong woman. The title didn’t lie. The story was fun and all. It was not dragging for my taste. It was a total joyful ride from start to finish. I liked how Strong Woman created a strong suspense atmosphere then broke it into a total comedy the next second. I was impressed! The funny scenes were totally funny. For example in episode 4. Do Bong Soon was running and carrying Ahn Min Hyuk in her arms. And the BGM used was Whitney Houston’s I Will Always Love You. I laughed so hard during that scene! I liked that the humor was witty and was not forcing but still hella funny. I was actually surprised with how fast they revealed the culprit behind the kidnapping cases. For some dramas it can take the whole series to know who the culprit is. But in Strong Woman we know who the culprit was pretty early. Like the early episodes of the second quarter of the series if my memory serves me right. There’s something I want to point out though. I don’t know why but kdramas seem to “okay” “domestic violence” when the victim is the husband. When the wife is the victim they write it so wild and make the husband a total trash. But when the victim the husband the people surround them just brush it off. Like? Why? Even when the wife is more dominant in the family it will never justify the domestic violence the husband gets. Kdramas sugar-coated it to make it look funny but domestic violence is never funny you know. And if you’re wondering in what episode did the domestic violence happen, in almost every episode where Bong Soon’s mom attacked her husband with mean, harsh words. Consistently putting down your spouse’s pride and crushing down their mentality EVEN WITH ONLY WORDS, that’s one of the many types of domestic violence. I was bothered with the sudden zoom-ins and outs in the first few episodes because it felt really abrupt but other than that I’m all good. The editing played such a big role in this drama. Again, like what I mentioned earlier about episode 4. That’s freaking brilliant! 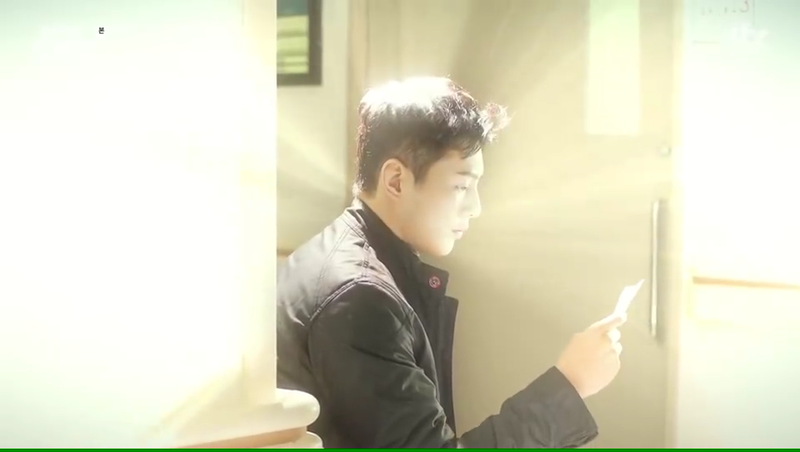 I also cracked up when they added shining effect to Gook Do and Min Hyuk. I was like…. that’s really cute and lovely and ugh my check hurt so much from smiling to wide. I’m all in with Strong Woman’s cinematography editing and cinematography aspect. At times the “math” just didn’t add up but you definitely can’t escape Strong Woman Do Bong Soon’s charm. Once you finish the first episode, there’s no turning back. The lovely aspect and thrill complimented one another perfectly giving you such a fun ride from start to finish. Strong Woman Do Bong Soon gets a solid 9 out of 10 from me.